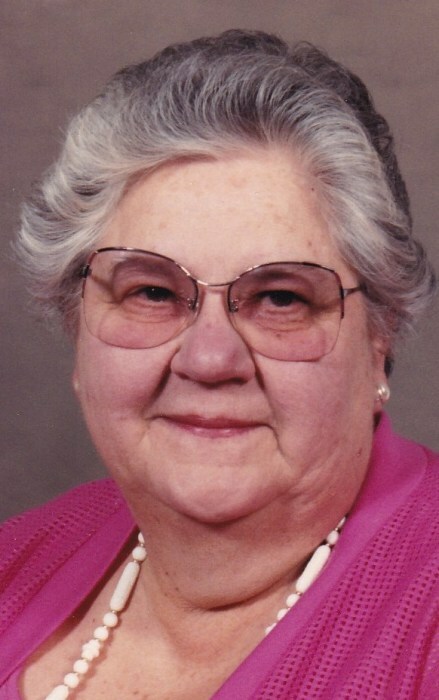 Obituary for Ada L. Gress | Howard L. Sipes Funeral Home Inc.
Ada L. Gress, 89, of McConnellsburg, PA passed away Friday, November 9th, 2018 at her residence. Ada was born in Baltimore, MD on February 5, 1929, the daughter of the late Clara M. (Decker) and Bruce Lake. She was the wife of Russell Paul Gress whom she married on December 22, 1951. Mrs. Gress was a member of the Asbury United Methodist Church in Harrisonville, PA, had worked at the Sagner Sewing Factory in McConnellsburg, PA and at various grocery stores. Ada enjoyed cooking, sewing, making rugs and blankets, gardening, flowers, camping and spending time with her family. granddaughter Tammy R. Moody, of McConnellsburg, PA and great granddaughter Jaycie Moody, of McConnellsburg, PA. Ada was preceded in death by son Tim R. Gress, sister Hazel Hann and brother Gerald Lake. Visitation will be Monday, November 12th, 2018 from 5 to 8 PM at Howard L. Sipes Funeral Home, Inc., McConnellsburg, PA. There will also be visitation one hour before the service on Tuesday at the church. Religious Service at Asbury United Methodist Church, Harrisonville, PA at 2:00 PM on Tuesday, November 13th, 2018 with Pastor Gail Kitchen and Pastor William Swope officiating. Interment at Asbury United Methodist Cemetery Harrisonville, PA.